Despite 2016 being a challenging year in the industry, Club Med reports it set a new record in terms of performance. Thanks to its 68 resorts worldwide and diversified offerings, Club Med achieved solid growth in 2016 and its best net result in 15 years. It also set a new record in North America with a 20% year-on-year increase in operating income. Club Med’s 2016 Black Friday sale achieved a 21% increase over last year in bookings, setting a historical record in sales for the brand. 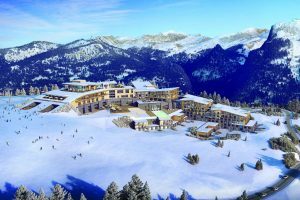 One particular example of Club Med’s 2016 successes can be seen in its ski business, with the number of Canadian and American guests travelling to one of Club Med’s 20 all-inclusive ski resorts in the Alps having nearly doubled in two years. The trend toward rest and activity-balanced travel for all ages was also on the uptick in 2016: resorts providing health and wellness offerings saw a significant rise in visitors. Club Med Punta Cana saw the addition of the Zen Oasis, a tranquil adult-exclusive haven for rest, relaxation and wellness. On the family side, the same resort launched Club Med Creactive by Cirque du Soleil. These enhancements resulted in a 25% increase in revenue for Club Med Punta Cana in 2016, with only 11% additional capacity. The future also looks good for Club Med with several new resorts set to join the portfolio, including Club Med Samoëns, France (December), and Club Med Cefalu, Sicily, Italy (summer 2018).